Everyone likes to spend a relaxing summer evening outdoors. But that relaxation often can be interrupted by the familiar pinch of a pesky mosquito bite. According to Dr. Neya Vyas, of Cleveland Clinic, there are some measures that can be taken to minimize irritation following a mosquito bite. Mosquitoes are known to bite more frequently at dusk and dawn, but Vyas says it’s important to remember that they can bite any time of the day. 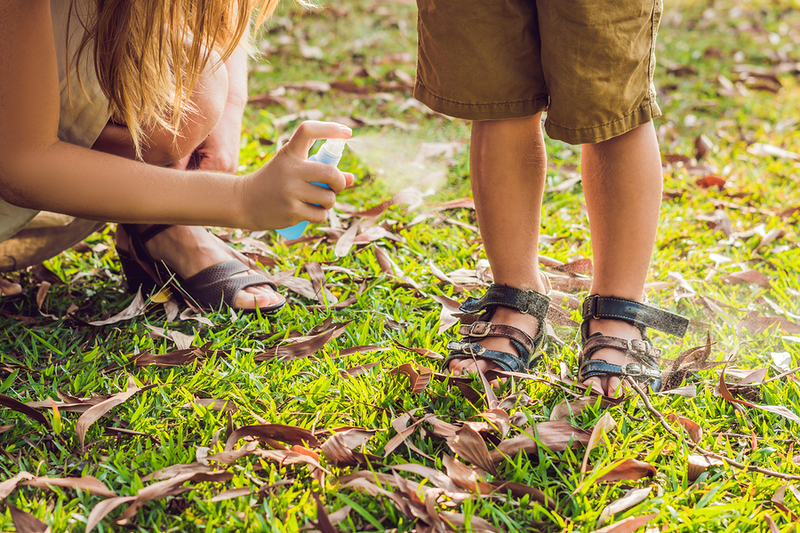 She recommends wearing long sleeves and long pants along with a protective spray that contains DEET when planning to be outdoors for a longer period of time. Mosquitoes are more than just a nuisance. They can carry dangerous viruses such as West Nile, Dengue and Zika, so depending on where a person is traveling, a mosquito bite can be quite serious. Vyas says it’s important to keep an eye out for any symptoms of illness within two weeks of getting bit. Fever, joint pain or headache could be the sign of a mosquito-borne illness. When it comes to the really annoying itch that accompanies a bite, it turns out mom was right — we’re better off not scratching. “You don’t want to scratch it, because the more you scratch, the more you want to scratch, and you always run the risk of infection,” Vyas says. She adds that the best way to protect ourselves from mosquitoes is prevention. Get rid of any standing water in buckets, pots or wading pools in the yard, because this is where they like to breed. Also, mosquitoes do not like to fly in windy conditions, so running a fan nearby can help keep them away.